Founded in 1890 by Ottmar Mergenthaler, the Mergenthaler Linotype Company revolutionized the printing industry with its Linotype machine, the world’s first hot metal typesetting machine. To print with the machine, typesetters operated a keyboard that made the Linotype select, arrange and replace letterforms automatically. This saved the operator great time and effort because older machines required the entire process to be done by hand. Mergenthaler invented the Linotype machine in 1884 and relocated his company’s headquarters from Baltimore to Brooklyn, New York shortly after. Commercial publishers quickly embraced the Linotype’s efficiency, affordability and ease of use. Within four years of the machine’s invention, the New York Tribune purchased dozens of Linotypes, and by 1904 nearly 10,000 machines printed books, magazines, posters, periodicals and various other publications worldwide. With its business rapidly growing, Mergenthaler acquired numerous type foundries and opened international manufacturing plants in England and Germany. The Linotype machine sold well into the 1970s, but by then cold-type presses and photographic equipment had rendered molten metal typesetting obsolete. Mergenthaler transitioned into phototypesetting in the late 1950s, eventually going on to manufacture computerized typesetting systems. In 1990, the Mergenthaler Linotype Company merged with the German-based Hell GmbH to form Linotype-Hell AG. At this point the company ventured away from its long history in typesetting to primarily focus on digital fonts and typographical software. 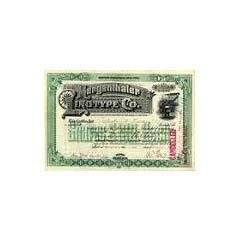 Today, Linotype offers typographical products and services as a subsidiary of Monotype Imaging Holdings. Over the years, many individuals claimed they developed chronic respiratory illnesses as a result of exposure to asbestos in Mergenthaler products, such as the Linotype machine. Holding Mergenthaler responsible for their injuries, these claimants filed lawsuits against the company to obtain fair compensation. According to New York State Supreme Court records, Mergenthaler has defended dozens of asbestos lawsuits since 1972. A vast majority of the claims include Mergenthaler among a lengthy list of defending companies. As of 2019, 10 lawsuits against Mergenthaler were active. Typists operated Mergenthaler Linotype machines with a keyboard as the automated machine selected character molds, imprinted letters onto paper and returned the molds to their storage area. This process involved the pouring of molten metal. Because the machine contained metal parts and generated a great deal of heat, effectively insulating the Linotype was an important concern for the machine’s manufacturer. To reduce the risks of overheating and fire during operation, a layer of asbestos coated various Linotype components. Dry flake asbestos also filled gaps in the machine. Mergenthaler employees who assembled, chipped away or reapplied asbestos cement during repairs may now be facing serious health risks; inhaling asbestos raises a person’s chance of developing mesothelioma and other asbestos-related diseases. Linotype technicians typically packed a paste made of ground asbestos and water between the metal parts of Mergenthaler Linotypes. The wet asbestos coated the elevator jaws and crucible heaters, and also filled empty spaces between other mechanical parts. When Linotype parts were removed or replaced, new asbestos was sometimes poured into the empty spaces to freshen the insulation. The Linotype also contained a hot pot filled with molten lead, which was jacketed with a hardened asbestos paste to retain heat and prevent it from catching fire. Mergenthaler manufacturers and technicians often mixed fresh asbestos cement for the pot and jacket, which may have caused harmful exposures. Workers could have also been exposed to asbestos when they applied the jacketing or chipped away and replaced older coatings. The asbestos could easily be inhaled when the older cement was broken. Asbestos threats from Linotype machines were not limited to Mergenthaler employees. Workers who operated or maintained the Linotypes at publishing facilities often came in contact with the enclosed asbestos materials. One former worker at a publishing company recalls skimming debris from the top of a molten metal recycling pool — while wearing aprons and gloves made from asbestos. Exposed to Asbestos at Mergenthaler Linotype Company? Since Mergenthaler was founded in 1890, the company has not manufactured any asbestos products. However, because molten metal typesetting machines must withstand extreme temperatures, several forms of asbestos were added for insulation. Most asbestos exposures occurred among workers who built, repaired and operated the Mergenthaler Linotype machine. One 1922 Linotype operator’s manual, for example, instructed workers to “break away as much of the asbestos insulating material packed between the crucible and the jacket as is possible.” In that same manual, Mergenthaler also told workers to place the crucible in the jacket and pack it with asbestos heat insulation. The crucible, which held the machine’s molten metal, was lined with hardened asbestos cement. Loose asbestos also filled the gaps between some Linotype components. Installing or removing the asbestos in Linotype machines may have released harmful levels of airborne asbestos fibers. Mergenthaler’s 1922 manual offered no warnings of asbestos’s inherent dangers and did not suggest that workers wear protective equipment while handling asbestos. Thomas Edison once referred to Ottmar Mergenthaler’s Linotype machine as the eighth wonder of the world. By 1954 more than 100,000 Linotypes produced print in Brooklyn, London and Berlin. Historically, the majority of Mergenthaler Linotype machines were purchased and used to print newspapers. Before Mergenthaler invented the Linotype, no city printed a daily newspaper with more than eight pages. Mergenthaler began acquiring the rights to typefaces in the 1930s. Today, the company boasts one of the world’s largest font libraries. Ottmar Mergenthaler made little profit off of his revolutionary Linotype machine. Early on he accepted a $50 buyout royalty instead of opting for a percentage of the machine’s total sales. Zion Church in Baltimore, where Ottmar Mergenthaler’s funeral was held, features a stained glass window with an image of the Linotype machine.